This contemporary mercury glass table lamp with a brushed nickel finish will offer a refined presence and elegant to any plain tabletop. With an eye-catching accent at the center, this modern mercury glass table lamp features a tapered shape. Featuring a brushed nickel finish that extends to the finial at the top. A white drum lamp shade completes the metal design. Overall: 27" high. Shade is 12" across the top x 14" across the bottom x 10" on the slant. Weighs 5 lbs. From the Regency Hill collection of table lamps. Brushed nickel finish metal base with a Mercury glass center section. Was looking for a compromise between the steel and the mercury glass. This fit both bills and the price was right. Now I can't wait to get them! 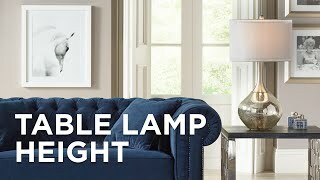 I had looked at so many lamps online and in the stores that I thought I would never find anything.Thanks for having just what I was looking for. Reviews were good. I needed bedroom lamps. The colors match other accents in our living room. It also matches the style of our furniture. They have a classic look. For my Grandsons room. It goes with his Bedroom furniture! Looks like the style and type that will fit with my new decor. What is size of base? How much does the lamp weigh? BEST ANSWER: Hi, the table lamp weighs 5 lbs. It's not really heavy. I didn't put it on a scale but it is easy to lift with one hand. 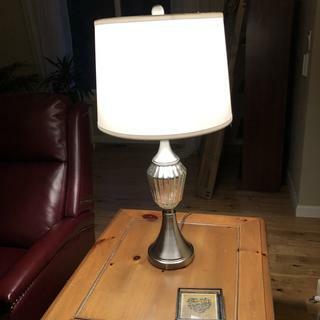 Does the mercury glass on this lamp have a predominantly silver tone or is it slightly gold toned? BEST ANSWER: I just looked closely. To me, it is predominantly silver. Asked my husband to look he thinks it is transparent glass, mostly silver with gold flecks. It has a predominately silver tone. Hope this helps.Enter an answer to this question. Mine I beieve has a silver tone. 8J923. Haley brushed style mercury Table lamp. Is the lampshade white ? BEST ANSWER: Hi - yes, this is a white shade. 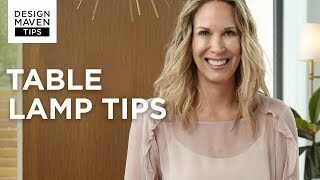 Remember that the shade will take on a slightly different color depending on the type of bulb that you use. Is the lamp shade white ? BEST ANSWER: Yes the shade is white. 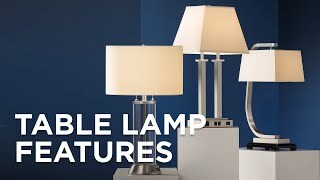 I purchased 2 of these lamps for my master bedroom. Yes. The shade that comes with the lamp is white. 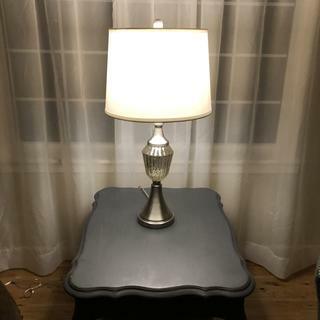 Love the lamp but it took 3 times to the Lamps Plus store to get an undamaged lamp. 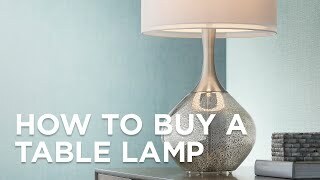 The first time we discovered the base of the lamp was dented when we took it out of the box. The second time the crystal was shattered. The third time we requested the store manager open the box to make sure the lamp was in good working order before we picked it up. I gave it 5 stars because I love the lamp, not the hassle it took to get it. Let me add that the store manager did give me a discount on the lamp for my trouble and gas money. I love these lamps. Our bedroom was so dark and we need an updated style for lamps beside our bed. I had never been into Lamps plus and I am so glad I decided to give it a try. These lamps are the perfect combination of modern and traditional. Everyone at Lamps Plus was incredibly knowledgeable and friendly. I will definitely go back when I need another design piece. Couldn't stop looking at them. Gorgeous!! Love the mercury glass, silver, and drum white shade. Nice room update! Absolutely beautiful lamp. Much prettier in person.